Hilton Garden Inn-Union Station is a to-be-built 233-room hotel located at 1917 Chestnut Place, which is near Union Station in downtown Denver, Co. 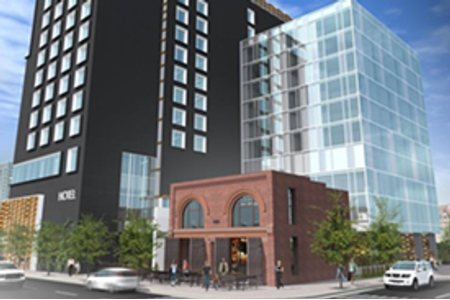 The hotel will be constructed to an adjoining two-story, 3,224 square foot historic brick firehouse which will be refurbished to serve as a restaurant and bar. Additional amenities will include two levels of underground parking, indoor pool, meeting space and patio bar. The property is within walking distance of the Denver Union Station, Larimer Street, Coors Field and the downtown business district. There are more than 1,000 new residential units in the locale which have been completed or are in the process of construction within the vicinity of the property. EverWest closed on the Preferred Equity investment in December 2016.